Review: Miranda Hart – Is It Just Me? Anyone who knows me will know that Miranda is my favourite comedian. I can’t watch her show without laughing hysterically, and it doesn’t matter how many times I’ve seen it, it’s still the same. So it was kind of surprising that I waited so long after this book came out to actually read it. I had it on my Christmas list last year, but when no-one bought me it, I didn’t fancy paying hardback prices and so I waited til it came out in paperback before I ran out and merrily handed over my money. As I expected, I wasn’t disappointed. The book was a conversation between Miranda and her teenage self, with a comic but realistic outlook on all things life – weddings, birthdays, technology etc. I’m so glad that I read this book in the privacy of my own home, as if I’d read this book in public (i.e. on the bus), I would have had many strange looks for my constant bursts of laughter. The book was written in the same style as her tv show and her previous radio show, so I couldn’t help but read the books in her voice and imagine her in all these hilarious situations (such fun!). This was brilliant though, it just made the book funnier! There was a sense of comradery through the book, being adressed as ‘My dear reader chum’ makes it all seem very personal and pulls you in in such a way that I almost read the book in one sitting, I had to keep forcing myself to put the book down so I didn’t race through it. 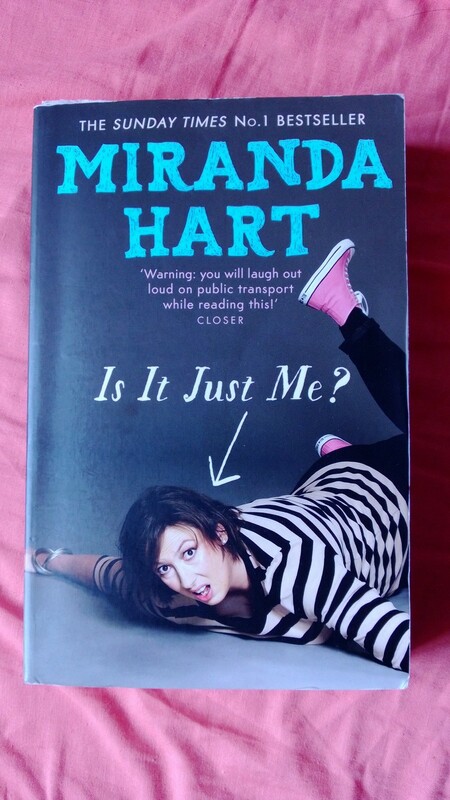 If you like Miranda’s tv show, you’ll absolutely love this book. And if you don’t, well what’s wrong with you? !